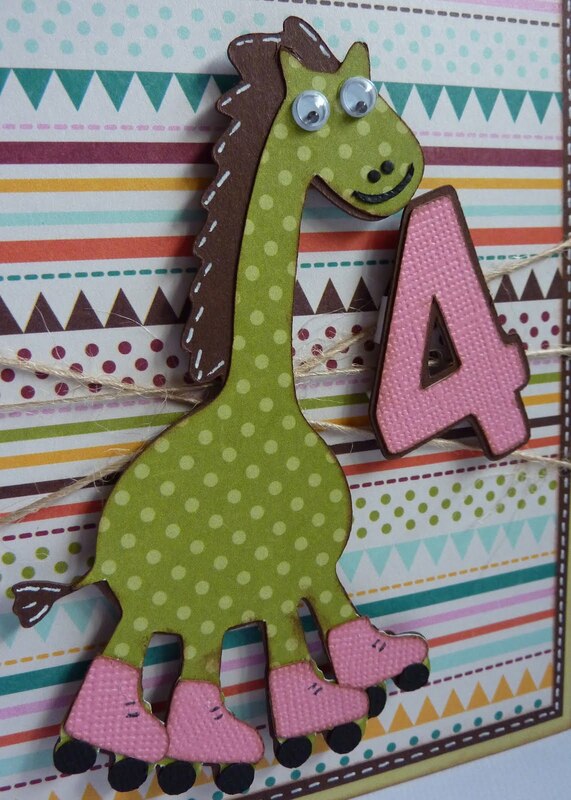 crafting with katie: Happy 4th Birthday! My little niece Jada is turned 4 on Sunday, and this is the A2 sized birthday card that I made for her. The giraffe is cut at 4" from Birthday Bash. The "4" is cut at 1 1/2" from Nate's ABCs. What a cute card! I love the papers you chose for it and the pink roller skates are adorable!! Really cute card Katie. The colors are just perfect. love the google eyes, and the pink skates are so cute!!! 'WOW" she is so cute love the pink skate! LOL! this is sooooo cute, Katie!!! Love the pink skates, and polka dots are my fave! 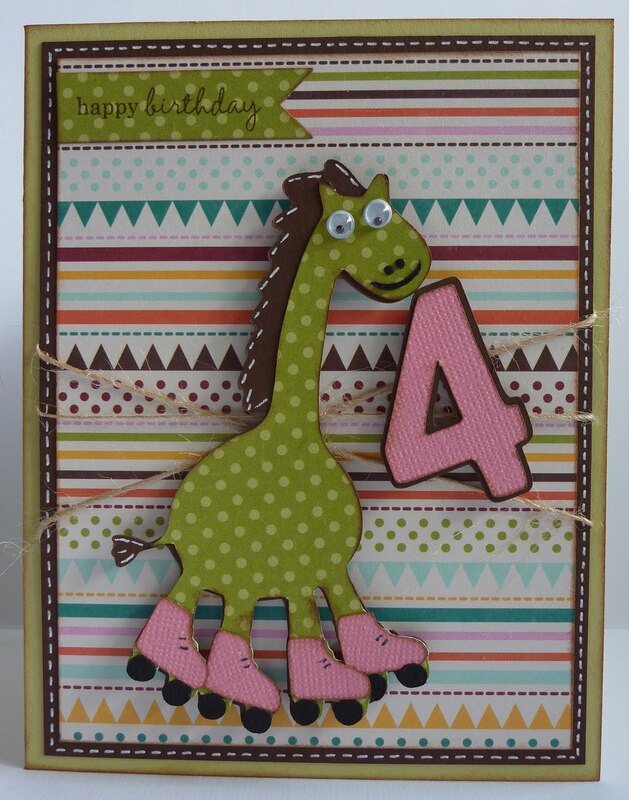 A roller skating giraffe! How cute!! And I LOVE the pink skates!!! 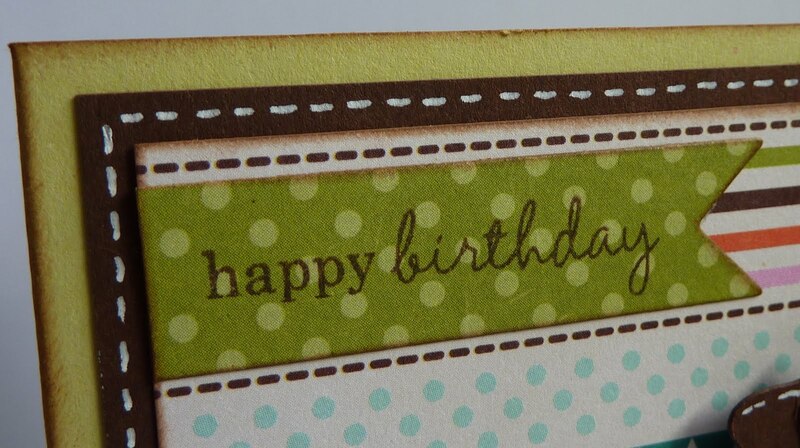 Such a Cute little Birthday Card. Love the roller skates. OMGosh Katie! This is the cutest card! BB is one of my most favorite carts. :) Those googly eyes get me every time! How cute is this card! Love it Katie. Oh Katie - just how insanely cute is that? My daughter's sister-in-law is having twins girls next month and I am creating her album, you know that I will just have to borrow that adorable image! katie! this is so fun and cute! your card is so clean and neat, you must not have used versa ink! lol!